My name is Claudia Amaro. I am an Activist in my community. I help local businesses, non-profits and people to improve their communication and connections to be more inclusive with minorities, which in this case is mainly the Latino community. I, have a weekly community radio show at La Raza 99.7 FM, called Planeta Venus. Every Monday night I invite members of the community: professionals, business owners or community members in general to come to my show and share their information and stories. The radio show focuses on different topics and shares valuable information to bring the Latino community together. Planeta Venus is one of the few media outlets that informs the Latino community about local events and news. I also serve on different civic boards like the Mexico Committee for the Wichita Area Sister Cities, the WPD Hispanic Advisory Board among others. I love Wichita, and I am passionate about cultures, community, and unity. I often get invited to speak in different panels about immigration as I have a powerful story myself and I seek to help others with my own experience. ***In 2016, I helped the Kansas Leadership Center to initiate the first leadership program in Spanish in Wichita. A year later I started a leadership program for Wichita Latino youth with the support of the Kansas Leadership Center, WSU and Botanica Gardens. This program gave them information and tools for college preparation and helped build their confidence. ***My story is featured in three published anthologies including Dreamers: An Immigrant Generation's Fight for Their American Dream, Los Otros Dreamers The Book, and How does it feel to be unwanted? 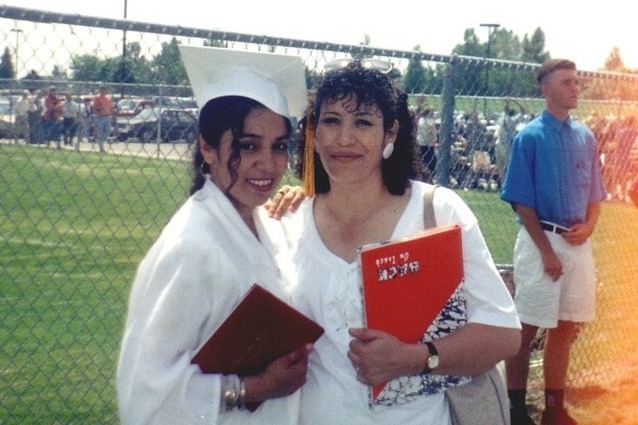 I graduated in 1993 from Skyline High School in Colorado with excellent grades, and with my dreams to go to college. I knocked on so many doors in different colleges and universities from Colorado to California, thinking that my grades were going to make it easy for me. The first thing they asked me was if I had a green card--I didn't. Back then I wasn't sure what I wanted my major to be, I was good in math, but I also wanted to be a journalist. I couldn't do either. In 1994 I found a private school in Hollywood, American Communication Institute, where I learned about broadcasting journalism (focused on radio). In 1996 I moved to Wichita, Kansas and worked for two Spanish radio stations, and eventually created my own newspaper, Cronos de Wichita. In 2006, my husband was deported to Mexico for driving without a license. Then I too was forced to make the difficult decision to go back to Mexico with him and my son. It was heartbreaking, because I was leaving my mother and sisters behind and I had no idea when I would be able to see them again. Once in Mexico, I got the opportunity to attend school. I got certified as a teacher and taught in different schools from elementary to university. In 2012, I finally enrolled in the university to pursue my bachelor's degree. That same year my husband was kidnapped for ransom and I knew I had to leave, starting my journey to come back home. We had to leave Mexico and my dreams for a college degree in order to save our lives. It has been almost five years since I came back, and while fighting to stay in the United States, my home, with my family, I want to continue working on my dreams. Last semester, I enrolled at Butler Community College, here in Kansas. Because I graduated from high school in Colorado, I do not qualify for in-state tuition in Kansas. This makes tuition unaffordable for me beyond a few 3 to 6 hours each semester. But I do not want to give up on my dreams. This semester I am working very hard on my classes, where I am pursuing a major in advertising. I want to ask for your help so I can continue working on my dreams. I will be using this money to pay for my tuition and books costs. Any contribution will have a big impact in my future. I thank you from my the bottom of my heart for reading this, and in advance for any contributions. Blessings! I am presently taking two classes, just two more weeks for this semester to be over. Looking forward to enroll for next semester. I need your Support and truly appreciate it.